What species can I catch in winter? We are now well into the clutches of winter, with the temperatures dropping by the day, but that doesn’t mean the fishing is finished for the year. Far from it in fact. Winter fishing can be almost as hectic as summer fishing, and it doesn’t have to be all about sitting freezing on a beach for hours on end in search of Cod. Get well wrapped up, go to the right mark, with the right bait, or lures and you can have a fantastic session. So what can we expect to catch over the next month? 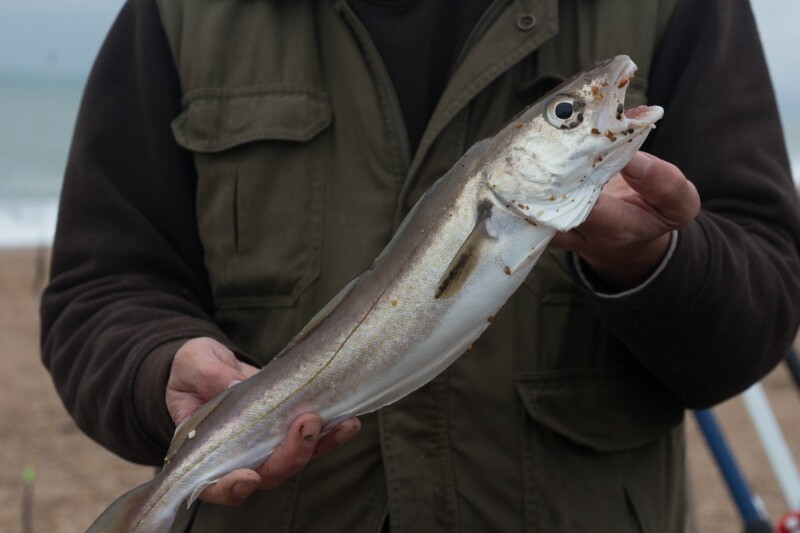 Aside from the obvious Cod, that so many anglers become obsessed with, there is really good Whiting to be caught, especially on those cold calm nights, that we often associate with November. They may not be comparable in size to the Cod, but you are far more likely to catch a half dozen prime Whiting, than a single Codling. You are always in with a good chance of encountering a good Pollock this month as well. Bass are numerous from the boats, so there should be no reason to think that we wont see quite a few from the shore, especially if they are chasing the Sprat shoals. Lets not forget the lure fishing. We still have at least a month of very good lure fishing ahead of us. 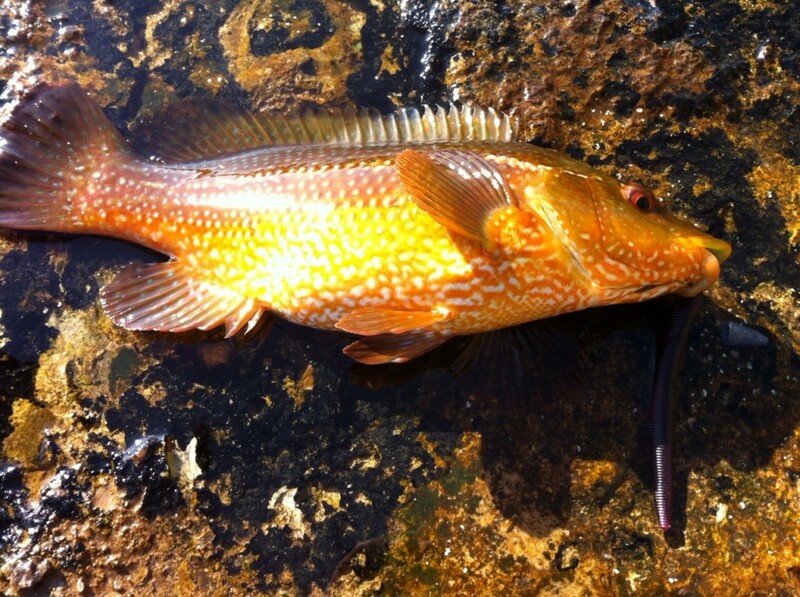 The Bass fishing might be quite, but the Pollock fishing is great at the moment as is the Wrasse fishing. If you fancy a change you can always turn your hand to freshwater fishing. The Carp are really putting on weight in anticipation of a long winter, so they are feeding aggressively, and winter is regarded as the best time for Pike. Fantastic news! It was announced yesterday that Dorset would benefit from three new Marine Conservation Zones. They are Poole Rocks in Poole Bay, Chesil beach, with Stennis Ledges, and an area south of Weymouth Bay. I am hoping to get an interview with a member of Dorset Wildlife Trust’s marine section next week, to help clarify exactly what this will mean for anglers. One of the major changes is believed to be a ban on fishing with non static gear within the zone. Chesil Beach: Calm with a 1m swell and lightly colouredd water. Portland: 1m swell with almost clear water. Chesil Beach forecast: Although the wind is fairly strong, it will be from the NW most of the weekend. This will keep the beach fairly calm, with a swell that is easily fishable. Cod, Bass, Garfish and even some Mackerel should be around this weekend. Night time will produce plenty of Pout, Whiting and Dogfish with the chance of a Sole from West Bexington or Cogden. Portland: I will be targeting the Wrasse and Pollock from Portland this weekend. Both on lures and with Crab. The great thing about Wrasse fishing is they are happy to take hardback shore crabs. Just get yourself a drop net, secure in a bit of mackerel and drop it into the water in Weymouth Harbour or in the Fleet at Ferrybridge. Within 10 minutes you will have at least half a dozen crabs. Pull the top of the shell off and the legs, then cut the crab in half and mount it in a 4/0 hook. I will produce a video if I get time this weekend. Portland Harbour: Quite a few Bass came from Ferrybridge at the weekend and there is no reason they wont still be around for a few more days. Flounder fishing will pick up as the weather gets colder. They can be caught all along the shoreline towards Portland Marina. Weymouth Bay: Plenty of fish still being caught from the piers, but the main interest there are the moment is Squid. Fish around dusk for the best chance to get a Squid on a Squid jig. Preston Beach is producing plenty of small Bass and some nice Flounder. Evening tides are good for Whiting and late Ray.